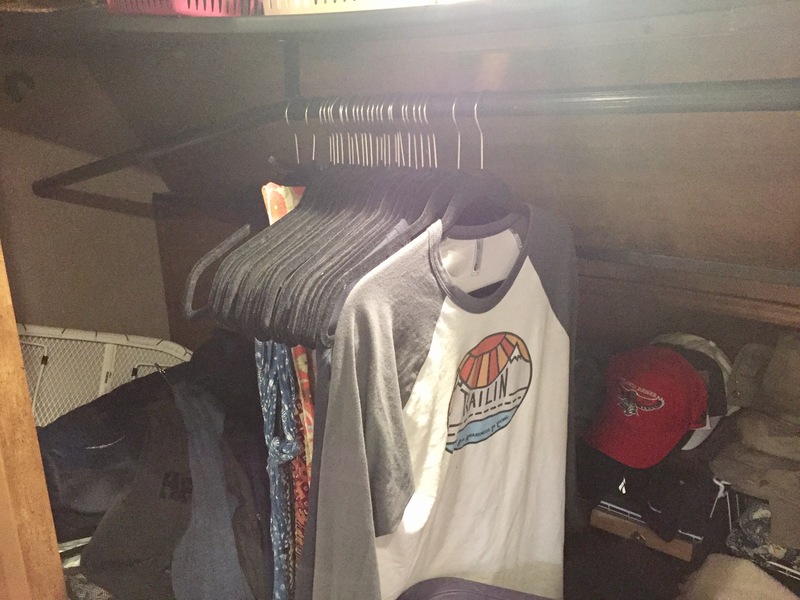 You would think living in an RV your wardrobe would be pretty minimalist and it is, relatively! If you had seen my closet pre-RV it was just stupid, I could probably do a 365 Days 365 Shirts challenge. I’ve purged and purged and re-purged so many times over the past 2 years preparing for our downsize in to the RV and also the past year along our journey. But the reality is I still have more than I need. The challenge is I have at least 30 T-shirts and tank tops. 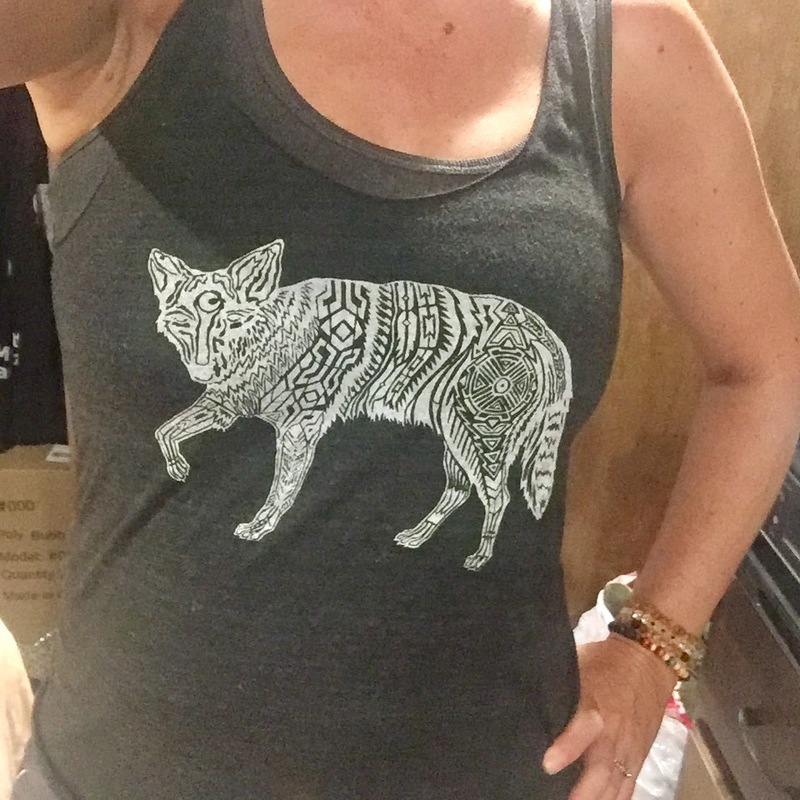 I don’t have to “dress” for work so T’s and tanks are my daily uniform, at least in the warmer months. We are headed West to visit some national parks soon and I know I will be tempted to buy their cool shirts. So in preparation for these eminent new purchases I need to make some room. I’m encouraging you all to play along with me. It’s easy, just wear a shirt, wash it and don’t put it away, instead make 2 piles. One pile is for the ones you love and the other pile is for the not so much love Shirts. At the end of the 30 days re-visit the shirts and re-evaluate if you can put some in the go pile or if you maybe really missed one in the other. My goal is to cut my collection in half, but a third would be satisfying as well. Up until now I have not regretted purging one item from my life over the past 2 years. But now that my very favorites are left this may cut a little deeper. 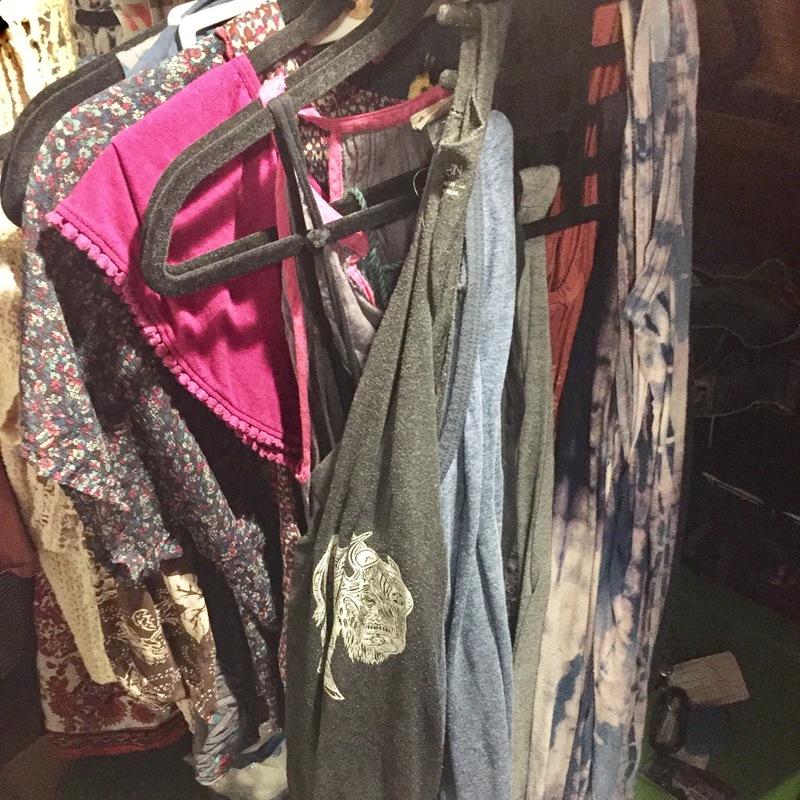 Honestly it’s harder for me to purge my kids clothes than my own. Their 30 Days 30 Shirts challenge may be next. Hope this inspires a few of you to shed some weight from your life that doesn’t bring you joy. Please post pics and leave feedback as much as possible. I will be posting daily pics on our Instagram page which also uploads directly to our TRAILin Facebook page, please subscribe to these to keep up with daily entries. Also check in on our YouTube page cause I foresee a few video entries as well. I’ll will write a follow up blog post when this has ended i’ll give you the good, bad and ugly deets on how it went. Even if your wardrobe isn’t in need of an overhaul at the moment you may know someone who could use a little help and encouragement, please share this with them! 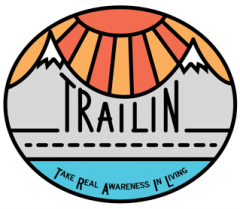 If you follow our Facebook page https://m.facebook.com/Trailin1/ you already kinda know all the awesomeness we have been having, please “like” us. Don’t forget to follow us on here as well to keep up with our families trail! Also, our families main source of income is Hippie Hoopla, any purchases on-line allow us to keep our adventure going. 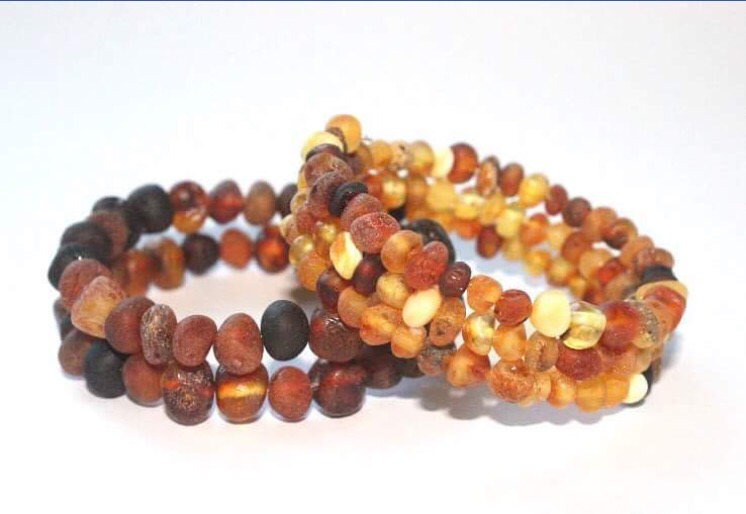 Please stop by our site and take a look! Applying For Passports On The Road and Out Of State! So your on the road fulltime and no where near the state which is your state of residence and you decide you want to cross the boarder in to Canada or Mexico, now what? Get a passport easy peasy, right? Well not so much as we soon found out while doing our research. Us waiting outside cause it was freezing in the middle of June inside the building, totally not loitering. Because you are trying to obtain a passport out of state you will need to provide more than your drivers licence and birth certificate. And when I say more, it’s a lot more, it’s crazy how much more! Good news is all the paperwork can be filled out ahead of time on line here! Here is a list of a few acceptable ways you can prove your a US citizen to obtain your passport. This is the website we got our information from as well as calling local office to confirm! You can also check out this PDF! *All the ones that are in bold font are what we used. OK the list goes on and here is where it starts to get weird with the Secondary list! OK not so weird but the baptism cert was interesting, and interesting enough I had mine thanks to my parents shoving it in the envelope with my birth certificate, thanks guys! Also a fun fact when clearing out everything and downsizing to move into our RV we were totally gonna trash our college diplomas. They have sat rolled in a tube for almost 2 decades, never needing to be used to show proof of our brain power. We decided we’d minimize their space and fold them up and stick in an envelope and put in out travel filing bin. That was the first time those ever came in handy and probably the last! When you go to a USPS location to apply you need to have made a photo copy of all the piece of documentation your submitting. Note: you will also need to make sure you make a copy if the documentation has any writing or info on the back. As we found out while we were in their office double sided photo prints are not acceptable, they need to be on a separate piece of paper. If your submitting your credit card make sure you take a black sharpie and cross through the number and 3 digit number on back, as well as cross through the number on the back copy cause you can still see the imprint of the credit card number. When submitting this info to the person handling your application put the copy with original in your file. Show both to the employee and they will keep the copy, except for the birth certificate. This they will take your original along with copy and send in with your application. When you receive your Passport a separate envelope will be mailed back with all your copies and the original birth certificate. If you are applying for your child’s passport who is under 18 you will need to copy and submit the same documentation. Make sure each child has their own set of copies to submit with their application. Exhausted yet from the crazy amount of steps needed to take, we were too. What made our experience with the USPS worker a slight nightmare was the fact that she was extremely vague and made us feel like we were trying to pull a fast one on her. A long and tedious process was made harder by the fact that she wasn’t so awesome. And she wasn’t having a bad day, the lady where we paid our fee at said the passport lady was “hard”. Grumpy was more like it! Ok so when you go to get your passport at the office you can call to set up an appointment or find a location that accepts walk-ins. We called a lot of offices and none of them had any appointments before 3 weeks out, our time was getting tight. We did find a walk-in place and prepared to be there a while not knowing what to expect. When we arrived there were 2 solo people ahead of us and a family finishing up. Families will just take longer cause it’s a lot of documentation to dish out and paperwork to sign, photos to take, checks to sign. But we were in and out in about 2 hours, which we thought under the circumstances for a walk-in where pretty good! Here is where everything got awesome! So the processing time is generally 6-8 weeks. You can pay extra for a faster turn around time. These things ain’t cheap so adding this fee on top of our family of fours budget was too much so we decided to take our chances that they would be a little speedy, we had heard that 3-4 weeks was more the norm. So a week after we submitted our application we get a phone call from a passport office cause the whole out of state application situation I guess isn’t common and we got red flagged? The guy was just wondering why we were doing it out of state. We told him the truth that we are traveling around and decided to go visit friends in Canada and our home base state isn’t on our traveling path before then. 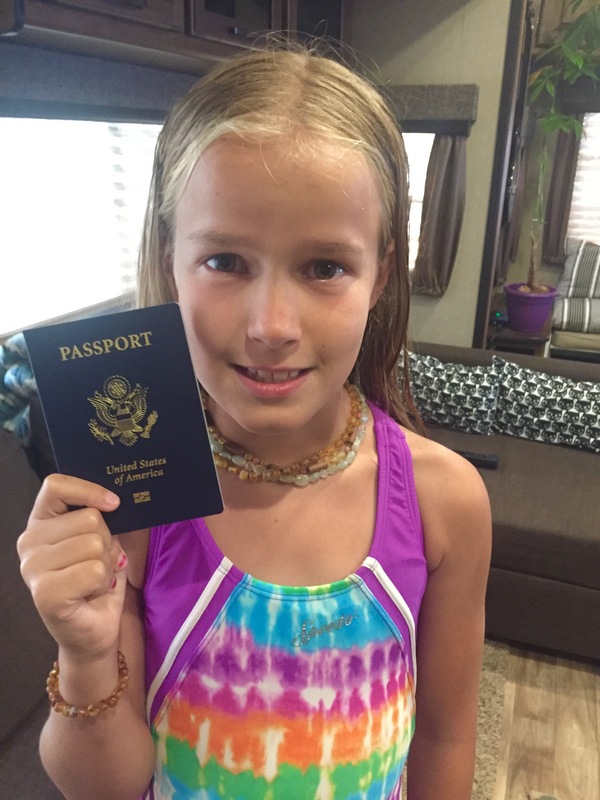 Our state of residency is Texas for Fulltime RV/biz/homeschooling purposes. Before that we resided in Georgia for several decades and had a brief stay in Mississippi. All the different address I guess seemed fishy to them. But the guy said it all sounded fine and said they would ship out our passport in the next few days! 2 weeks, it was 2 weeks from application submission to them being in the mail and on their way to us. This is incredible, especially for the USPS and any government office turn around time. We almost wonder if our out of state/red-flagged situation got put on that special guys desk and that made it get fast tracked through their system? Either way I’ll take it! So we are now officially free to wander the world! First stop is Canada this fall for an RV rally at our friends RV resort. We also need to swing through Mexico for some dental work this Winter. But after that, who knows! It’s just nice to know if we had an out of the blue invitation to Bali for the weekend we could just get on that plane and go! Ohh and a bonus, I have a pretty decent mugshot pic on mine I don’t have to hate for the next 10 years! My youngest daughter on the other hand has a giant scratch on her nose and looks like a serial killer, Just kidding, not really! While we travel we encounter a lot of bumpy roads which sometimes lead to things not holding up well inside our home on wheels. One of these such instances was one of our built in storage shelf cabinets. One day when I went to retrieve some thing out of it I had discovered that the base of it had imploded. These cabinets are not very user friendly because they are very deep. They are made this way I suppose because they are the depth of the couch they are next to and double as a side table. Since we removed the couch these became kinda more of a nuisance then a usable addition to our home. At the same time I discovered this implosion we were also removing book shelf that was also at the point of implosion and needed to come up with a plan for its replacement. Realizing even if we were going to simply fix the imploded base the only way to do so was to take off the side pho-wood panel. Since it’s stapled on like everything else in an RV it was easy to remove. Once off we realized we could build up a secondary shelf and reuse the panel for extra base and trim work. We love the finished result. Love being able to access everything in this shelf easily. There is also another one of these shelf/cabinets on the other side of the wall which may be another project in our future. We also purchased a new table and chairs. We have never liked the pedestal table that came with our RV. It was heavy and the top came wobbly more than not when we traveled. We love this new Ingatorp http://m.ikea.com/us/en/catalog/products/art/20221425/ IKEA table we got that has folding sides. We also got 2 IKEA http://m.ikea.com/us/en/catalog/products/art/10115067/ folding chairs and it’s so much easier on travel days to secure them. Simply fold and put under the table. We love IKEA, check out our IKEA post about all the RV friendly items we love, IKEA: Why RVers love it! If you have never been to IKEA than you don’t know of all the awesomeness that it entails. Its one thing to just buy something online but the store itself is an adventure. We’ve been to several across the US and its pretty uncanny how they are all set up exactly the same. I know I know lots of stores do this, but they do it consistently. It really irks me to go into a superstore thinking I can find the product I’m seeking and not only have they relocated it but it is not carried at that said location. We love IKEA for this and so much more and here is why. IKEA: Why RVers love it! If you have never been to IKEA than you don’t know of all the awesomeness that is entails. Its one thing to just buy something online but the store itself is an adventure. We’ve been to several across the US and its pretty uncanny how they are all set up exactly the same. I know I know lots of stores do this, but they do it consistently. It really irks me to go into a superstore thinking I can find the product I’m seeking and not only have they relocated it but it is not carried at that said location. We love IKEA for this and so much more and here is why. My #1 is Smaland, a daycare of sorts for small children while you shop. I’ve dragged my kids around this ginormous store and its not easy or fun at times. This small segment of freedom, I mean kid free time is pretty amazing. I can usually get all my shopping done during this 60 min or 1 hr 15 minutes because we have an IKEA family card which gives extra time during non busy days of week and day. But to be totally honest I’ve taken this time in the past just to go into their cafeteria style eatery and just be kid free and drink free coffee, again another IKEA family card perk. However you decide to spend your time while kids are in Smaland, its a nice benefit they provide their shoppers, for free. 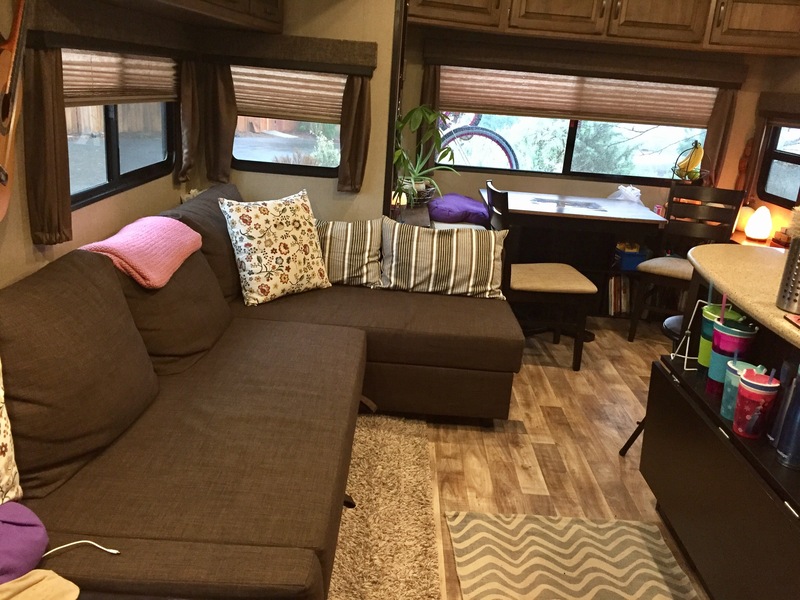 I knew that before we got our RV I would be filling it with IKEA products. They make affordable, functional, good quality products for unique and small spaces. They switch up colors and seasonal styles regularly but they always have their usual staple pieces. So the bunk-beds we decided on for our midbunk I saw at IKEA probably about 10 years ago. I know lots of families who use this piece of furniture for their kids and I’ve yet to hear a bad review regarding it. While on a Facebook group for fulltime RVers I saw how someone took out the furniture in their slide and replaced it with an IKEA sectional sofa sleeper. 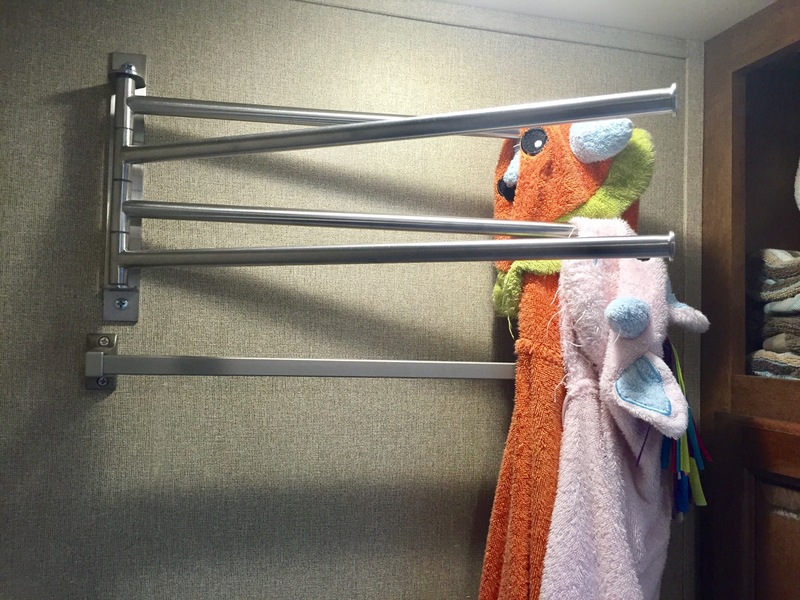 I became obsessed with this and made sure this could be an option in our RV, I took lots of measurements. Even if you don’t have small or unique living spaces you can be sure to find lots of things that you need and want from this superstore. You can buy practical items from furniture to kitchen wares or take home a real bamboo plant or bag of sweetish meatballs. They sell lots of cute kids toys as well as educational items. FYI the names of their items are all in Swedish so they may look a bit funny to the average English speaking consumer. The store was founded in Sweden in 1943 by then-17-year-old Ingvar Kamprad and has grown to almost 400 stores in 48 countries so I think they know what they are doing at this point. 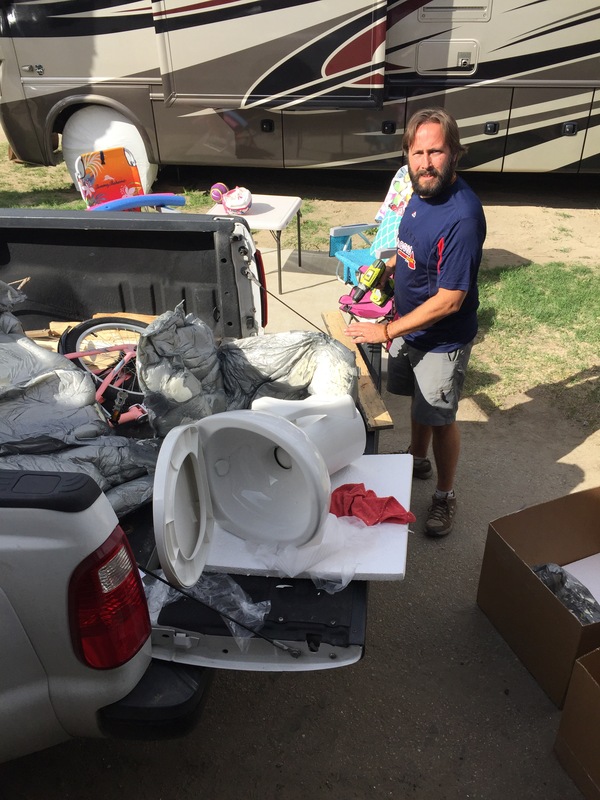 Here is a list of most of the Items we have purchased specifically for our RV. We bought a 2016 Grand Design Reflection 367bhs in the Summer of 2016. Check out the video we took the day we brought it home. Also be on the look out for an upcoming video showing off all the updates we have made including the following IKEA items purchased. 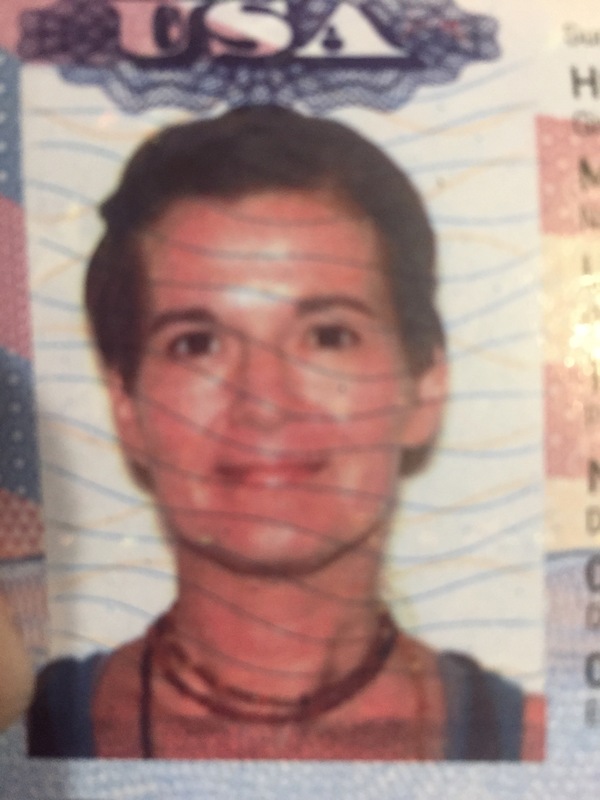 Six Months Fulltime RVing, What Has Broken? So we have officially hit our 6 month mark of hauling our family in an RV around the country. There’s the constant back and forth when buying an RV if you should buy new or used. There are for sure benefits to both and here is why. Although we have never owned a used RV, we have owned a used house before and we can back up a lot of these statements. When you buy used you are hoping the previous owner fixed all the major things unless your buying as is and your job now is gonna be routine maintenance and some aesthetic updates here and there. The older the property for sure major things like roofs and flooring along with major appliances will need updating and replacing. Our home was 20 years old when we bought it and while living in it we replaced the roof and gutters and updated all lighting, painted and bought a new fridge. The previous owners had just replaced the furnace and water heater, stove & dishwasher before we moved in and for sure the next owners will need to think about siding and windows in their near future. So like a regular house an RV home needs the same kinda love and upkeep. So why is buying new just as big a gamble as used? Originally we were not gonna buy new, due to the previously stated facts above as well as budget. We went to a few RV shows just so we could walk in a bunch of models all at once to get a feel for our wants and needs. At our first show we discovered the Midbunk model and it was all down hill from there. This is a fairly new concept in the RV world and it is very rare to find any used ones for sale at the time we were looking. So new it was gonna be for us so we focused on the pros of owning new! Buying new means no one has lived in it previously so everything should be new and work like new, right? Depending on the company and RV dealer you purchase from you will get a warranty for a few years to utilize in case things do break, and they always do. Being new to the RV world this was appealing to us. A new RV means no one has lived in it so any allergies you may have to pets or smoke will not be a factor to have to worry about. We have relatives who purchased an RV that was stationary and previous owners hid mothballs everywhere, even under the trailer where it sits all year round. They have found most of them and removed them but I still cannot linger inside of it for long do to the smell. 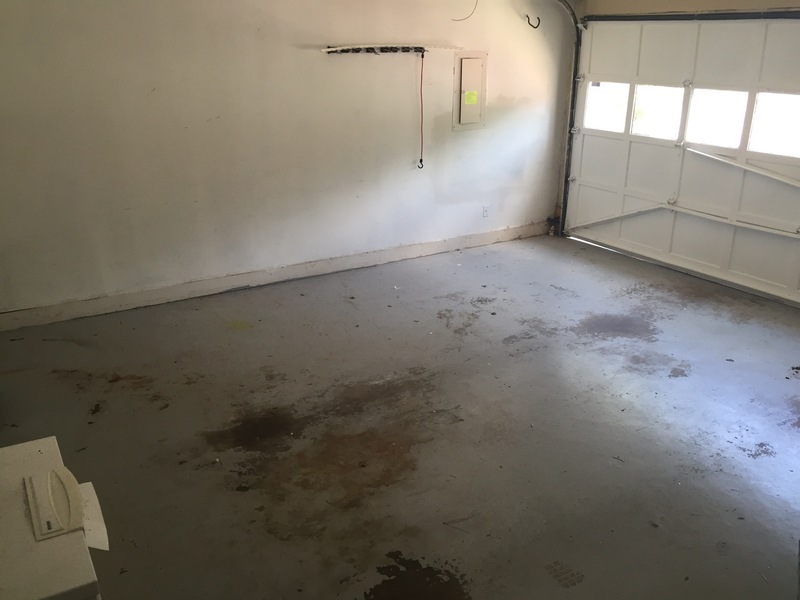 A new model should also not have any hidden things wrong like leaks, mold or infestation that sometimes goes unnoticed even upon an inspection. Then there is the fact you can decorate anyway you want and not have to reverse others personal style and tastes. 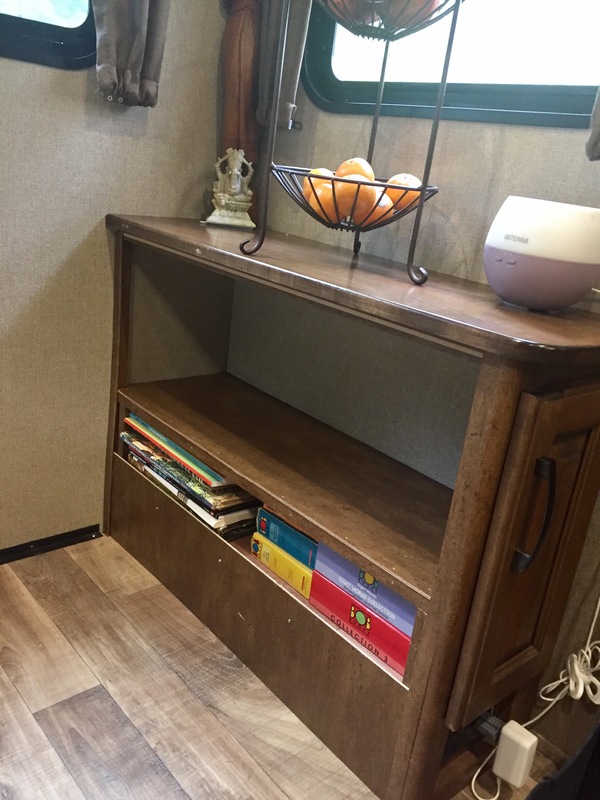 The RV industry is pretty standard with its interior design or lack there of, so most know what their in for with the decor upon a new purchase. 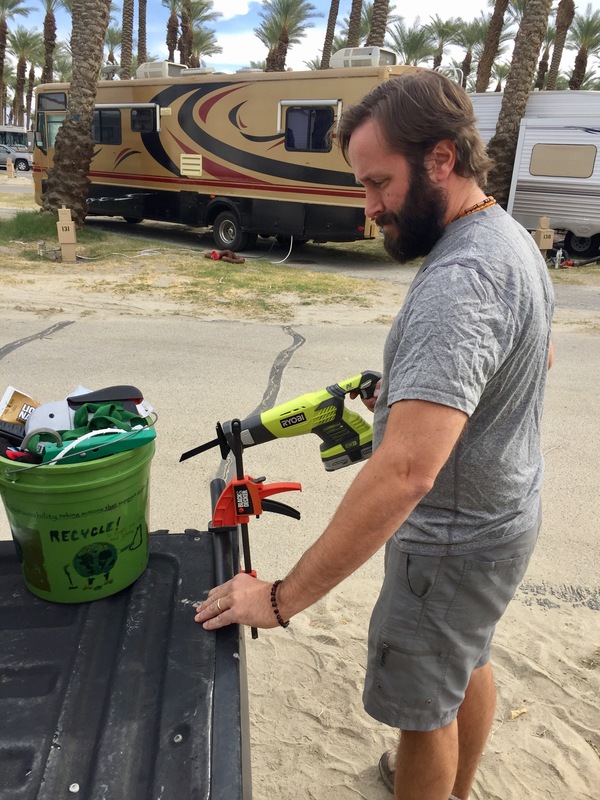 When you live in your RV fulltime and travel with it a lot of things are gonna need more tending to than if your a weekend warrior and only doing a handful of excursions a year. We knew this and were prepared, or so we thought! We decided on Grand Design because of their reputation for producing a far superior RV and above and beyond customer service. We looked at a couple of competitors midbunk models and you could tell the workmanship in the Grand Design was higher quality. But and it’s a really big but, most of these RV companies purchase the same parts from the same companies. It’s like buying a can of peas, you can buy generic or a trusted mainstream companies. Most likely they are the same product, packaged in the same warehouse just with a different label and one costs more. You may be one of the lucky ones who just happens to get the rig where everyone who assembled it was on their A-game or it could have been assembled by a disgruntled employee who is overworked and has health problems and couldn’t care less if there is 1 or 10 screws holding up the cabinet. So all that being said it’s a crap shoot and in the end we wanted a company that if things went wrong would work with us not against us to get it fixed fast. Grand Design (now owned by Winnebago) again and again gets all of this hype and in our experience has lived up to it. I’ve heard a lot of complaints about other companies not handling warranty work well. But warranty work is a whole other beast of a blog unto itself for another day to discuss. Check out a video of the first day we picked up our Grand Design Reflection 2016 367bhs https://youtu.be/D-61ur4UiZU. Slide rubber seal – GD sent replacement to dealership and they adjusted slides. Leaky breaks – Lippert sent out techs to fix, so far so good! Cargo Carrier hitch bent – user error as well as I-10 in Louisiana should be avoided at all costs! We went with a different model 2nd time around, this was the 2nd cargo carrier & upgraded generator cover we purchased! So do we regret buying new after looking at this laundry list of things that we’ve had to fix the past 6 months? No way! We love our rig, the midbunk has been such a great layout for our families needs. There was no way of knowing any of these things would happen and there is no way of knowing what will need fixing on a used RV either. Some of the things listed were completely rookie mistakes on our part, others are what you should just expect when you travel fulltime. Some are personal concerns cause we want to boondock more that not and need things to function properly w/o being hooked up to power. Hopefully we have shook out all the major things that need fixing for a while and can enjoy our lifestyle a bit without having to be in fix-it mode. Hi everyone I finally got our RV video I shot the day we picked it up with our GoPro edited and uploaded. Only took 6 months but whose counting? Hope you enjoy it and subscribe to our YouTube channel for future videos of our adventure on the road! We picked up our RV and had a family member help us haul it up to the RV park we will be staying at for at least another month in North Georgia. Everything went pretty seamless. My husband bought a power cord for the rig to connect us and get us energy. When he went to plug it in he had the wrong size. Luckily when he looked in the under storage he saw that the RV came with its own. It was on our listing of things to buy to prep for our new RV so not sure why it was in there unless it was their mistake. Either way I’m happy it was resolved quickly. Here are a few pics of the state of our house. Most rooms are night and day, either cleared out or a hot mess. I shot this video in one of my clean rooms cause it’s my happy place at the moment. all the awesomeness we have been having, please “like” us. Don’t forget to follow us on here as well to keep up with our families trail! Also, our families main source of income is Hippie Hoopla, any purchases on-line allow us to keep our adventure going. 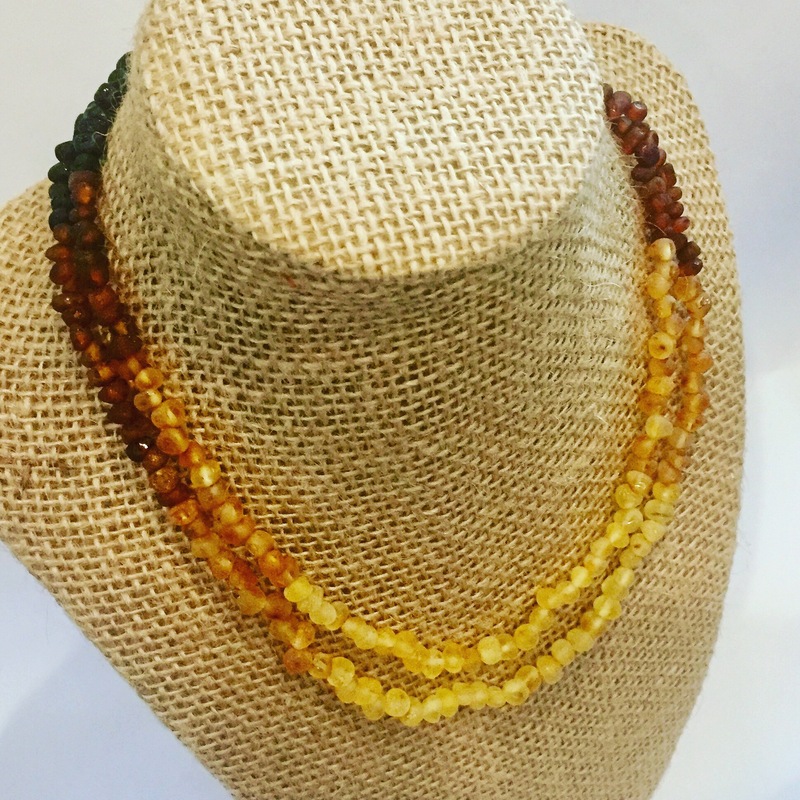 Please stop by our site and take a look! Happy Nomadiversary To Us – Top 5 Lessons Learned! 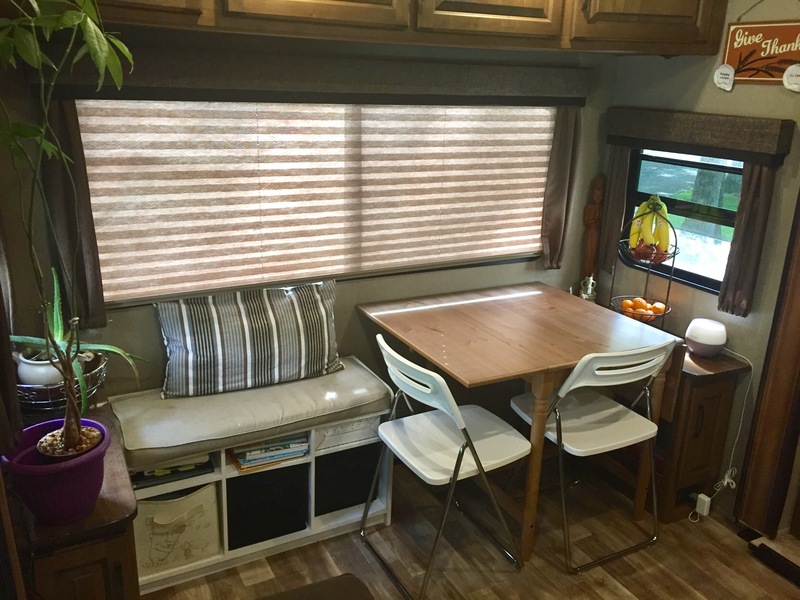 TRAILin on IKEA: Why RVers love it! 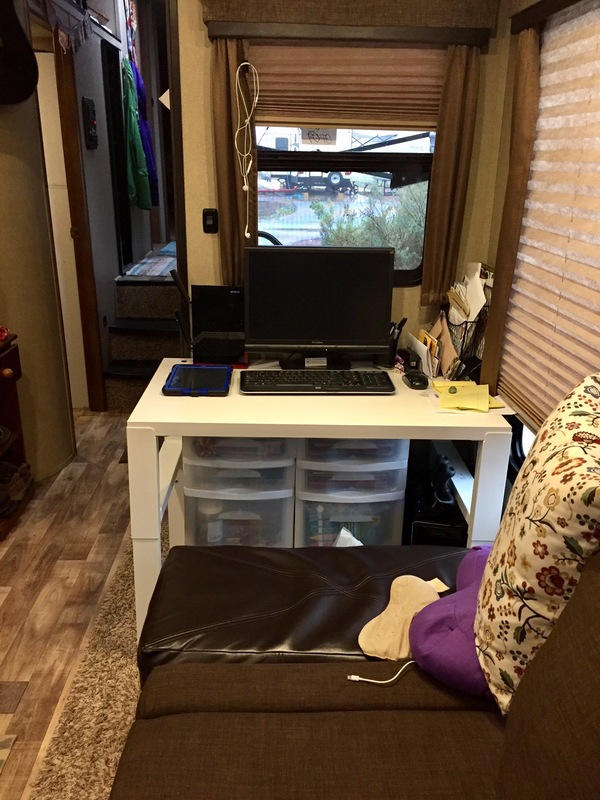 goodfamiliesdo on IKEA: Why RVers love it!